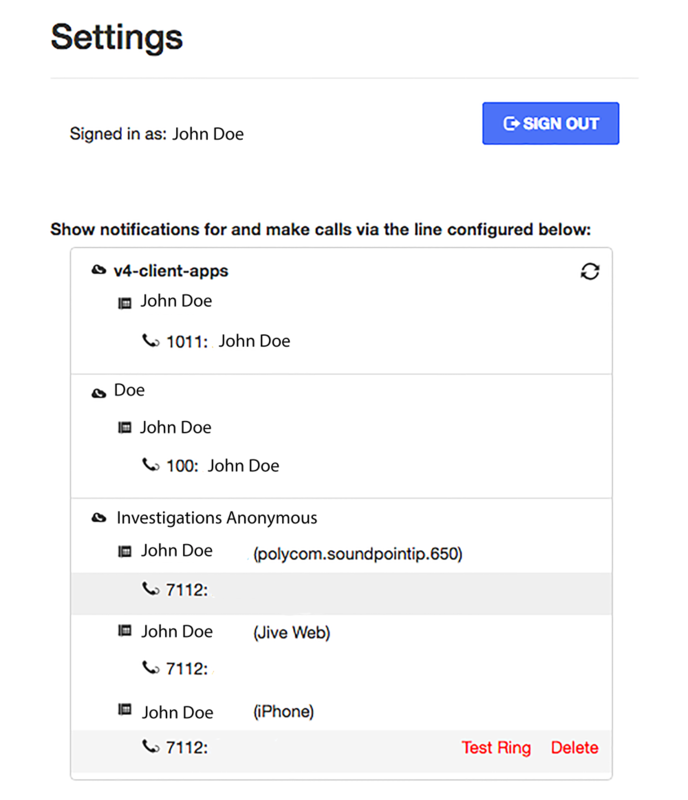 Users that have multiple devices/extensions can select which line is used for initiating calls, notifications, and web pops. Click the desired line. The line that is currently being used will be highlighted in gray. Click "Test Ring" to call a line and see if it rings. Click "Delete" if so desired, such as if the line does not ring.